Calling your representative or senators in Congress is one of the best ways that you can make an impact on the national level. Maybe you haven't called Congress before, but we're here to make it easy with our call tool and this video guide. The call tool is used for almost all 1Sky calling campaigns. The call notes will be updated for each campaign. Thanks for watching! 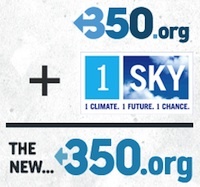 See more organizing guides at http://www.1Sky.org/local/guides.